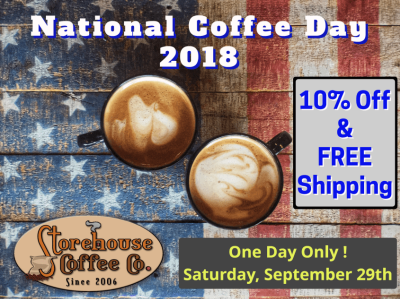 This Saturday Only (9/29/2018), get 10% off on all orders and Free Shipping!! Mellow, nutty and sweet in the cup. This is a wonderful coffee for any time of day, not too bold or too mild, just an easy drinking cup of Joe! This is an Authentic blend of Yemen Mocha Matari and Indonesian Java. The combination of the Java body and spice with the complexity and wildness of Yemen creates an unforgettable blend. If you have not tried out Mocha Java in a while, give it try; you won't be disappointed!